Bamfield, BC, Canada is located in Barkley Sound on Vancouver Island surrounded by islands, islets and marine activity. The village is a major launching point for various marine and backpacking adventures. The Village of Bamfield is divided into two sections. A water taxi is required to cross the inlet from East Bamfield to West Bamfield. East Bamfield is populated by commercial stores, some residential homes, a marine research centre and more accommodations. West Bamfield is decorated with resorts, cottages and fishing lodges. In West Bamfield walking and biking is the transportation of choice. Activities most enjoyed in Bamfield and the surrounding areas include boating, sailing, sport fishing, ocean kayaking, marine cruises, hiking, backpacking, camping, wildlife watching, scuba diving, and beachcombing. During the peak fishing and touring seasons the local marinas in East and West Bamfield are very active with yachts, kayaks, boat tours, floatplanes and sailboats. A few of the more popular activity and sightseeing park and trail destinations located in Bamfield and the surrounding areas includes the Pacific Rim National Park, West Coast Trail (WCT), Keeha Bay Trail, Cape Beale Trail, Broken Islands Group, Deer Islands, Brady's Beach, Pachena Bay and the West Bamfield Boardwalk. Some of the most visited sightseeing attractions, art galleries, historical sites and cultural venues in and around Bamfield, British Columbia include the Bamfield Marine Sciences Centre and more. What type of Accommodations, Services and Amenities are in Bamfield, BC? What are the places to stay in Bamfield, BC? Places to stay include accommodations like motels, inns, vacation homes, cottages, resorts, lodges, bed and breakfasts and campgrounds. 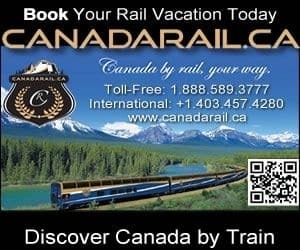 Important services and amenities for travelers when exploring in and around Bamfield, BC, Canada includes tours, guides, campground, pub, restaurant, gas station, liquor store, internet, and transportation services including a marina and water taxi. Explore Bamfield, Canada Travel Guide for Accommodations, Attractions and Adventure.